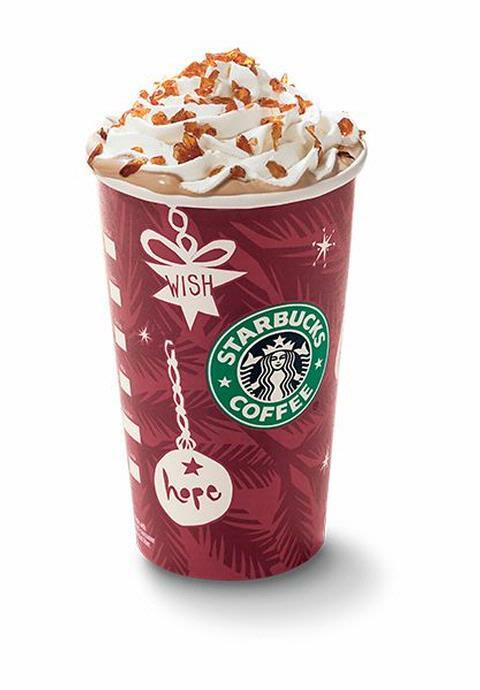 My Southern Sparkle: The most wonderful time of the year...Starbucks Holiday Drinks Buy One Get One! The most wonderful time of the year...Starbucks Holiday Drinks Buy One Get One! Oh yes, my Starbucks loving friends...it is that special time of the year when not only does Starbucks have their Buy One Get One deal going on for the next few days (November 18-21, each day from 2 until 5 pm) but they also have some yummy holiday drinks to get you in the mood to celebrate. So what will it be? Peppermint Mocha, Gingerbread or Caramel Brulee' Latte???? Also, don't forget to sign up for their 12 Days of Sharing deals for more liquid holiday spirit! They start December 1st so don't miss out. Shoot fire! I meant to run out for the bogo special today and lost track of time. Good thing there is always tomorrow! Yum and Starbucks is such a wonderful treat. Oh my goodness, those sound so good. And I thought I was going to be smart & buy the flavored Coffee Mates for my morning brew. Now that's just not sounding all that thrilling. Sure wish I like coffee drinks Michelle because these look fabulous. I remember being with a group of friends in Asheville one year when everyone was running into SB for their holiday "fix".